I hope your summer is going well. As many of you know, we are winding down August and Black Philanthropy Month when we celebrate our strong history of giving. I can’t think of a more important issue today in the wake of the growing movement for Black lives. It’s pretty clear that the work to support Black liberation must be carried by us; it always has been. Philanthropy, defined as the “love for mankind” can take the form of giving of time, talent and treasure and no matter what the mainstream media portrays, Black people have always supported our own via individuals, family, community, the church, and civic organizations. Call it Harambee, tithing, giving circles, burial clubs, membership — WE GiVE. The strategy for us must be to direct our giving to uplifting Black people. 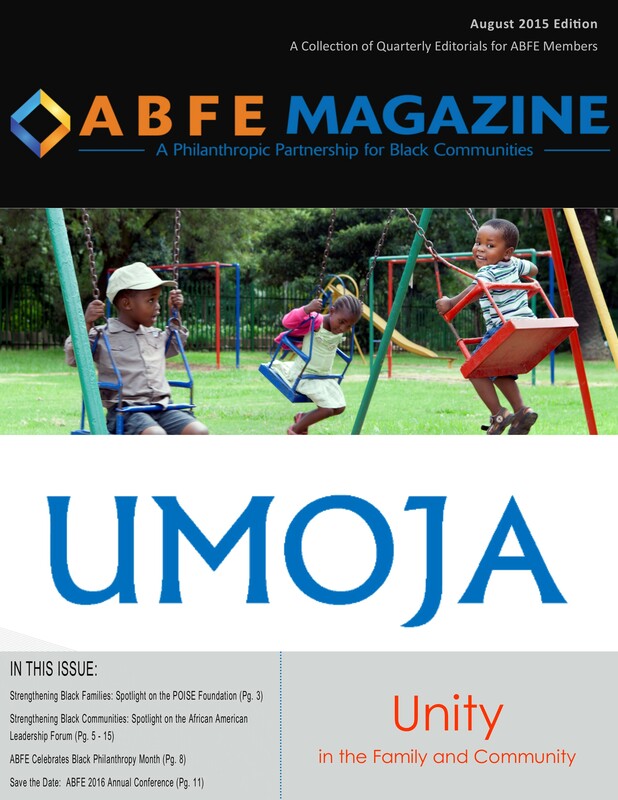 Today we are releasing our next edition of ABFE Magazine titled UMOJA and we highlight just two examples of our giving of time, talent and treasure. It is as important now than ever before. Let us further coordinate our efforts to do so. 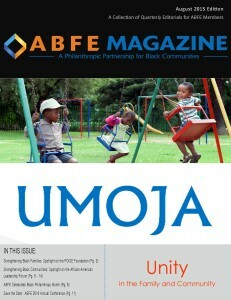 For more information on Black Philanthropy Month, please see www.blackphilanthropymonth.com.